Certain foods are particularly healthy for diabetics because they help balance blood sugar levels and reduce the risk of related disorders, such as heart disease. 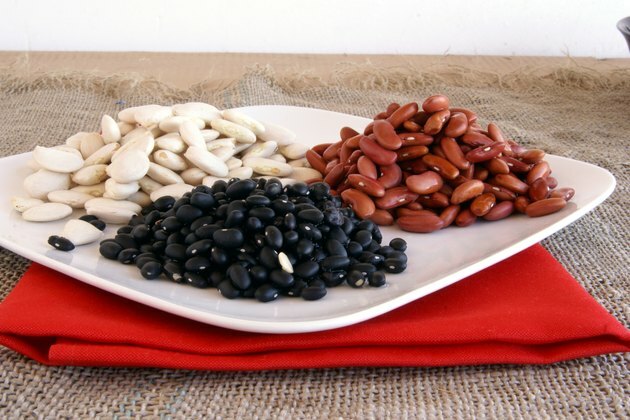 Beans contain high amounts of dietary fiber, the part of a plant food that the body cannot digest or absorb. All beans contain soluble fiber, which dissolves in water to form a gel-like substance that helps reduce cholesterol and glucose. This fiber is found in several types of beans. 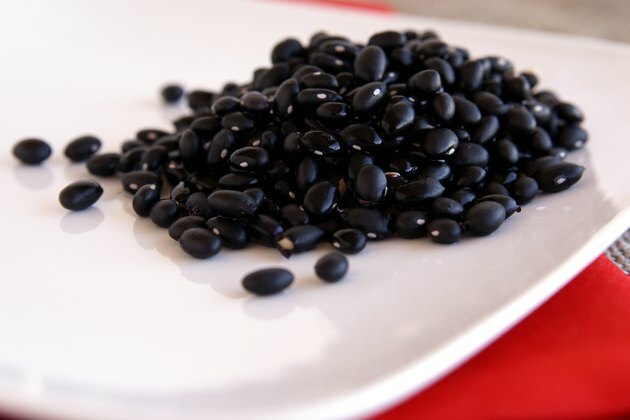 The deep, rich color of black beans is due to substances called anthocyanin flavonoids, which are powerful antioxidants that help cleanse the body of toxins and repair damage to cells, according to the site Health Mad. A cup of black beans contains 15 g of fiber, more than half the recommended daily requirement of fiber. This soluble fiber helps lower cholesterol and stabilize blood sugar levels for better diabetes control. Black beans also contain the mineral molybdenum and vitamin B6 or folate, an important nutrient for pregnant women and for protection against heart disease. Lima beans are also healthy for people with diabetes because they contain high amounts of fiber for digestive and colon health. This fiber-rich food helps your body control weight and stabilize blood glucose levels. Lima beans are good sources of the minerals manganese, magnesium and iron, which play important roles in energy metabolism and bone health. Manganese is also important for breaking down dietary fats, protein and carbohydrates. Lima beans also contain protein and carbohydrates and have few calories, little sodium and no saturated fat, according to nutritional info on the Peer Trainer website. Kidney beans are reddish brown and commonly used in dishes such as chili, rice and soups. 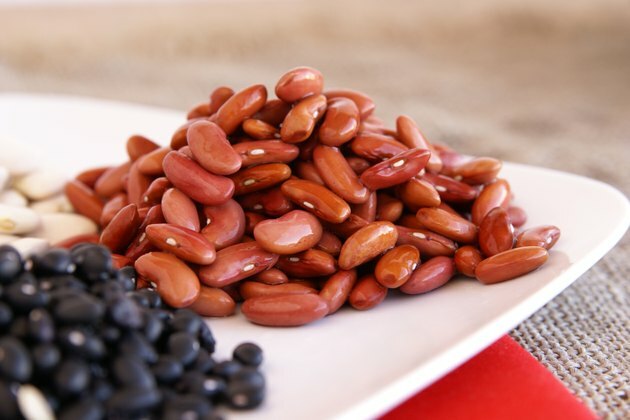 This type of bean is healthy in a diabetic meal plan to decrease cholesterol, reduce weight, improve digestion and control blood sugar levels as outlined by Dr. John Briffa on his website. The soluble fiber in kidney beans helps you maintain a healthy digestive tract and decrease cholesterol. 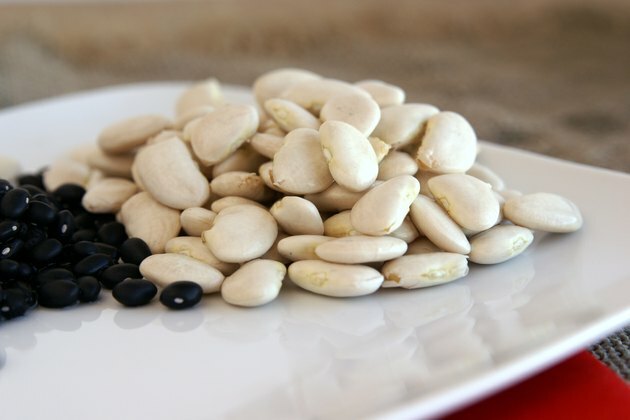 Like other beans, they also contain the vitamin folate and protein and are low in fat, cholesterol, calories and sodium. What Are the Health Benefits of Garbanzo Beans?